Regional dealers are at the heart of what makes Guard-All Building Solutions a leader in the tension fabric building industry. Our local dealers are the face of the company to customers across North America, and are the hands that erect our buildings. 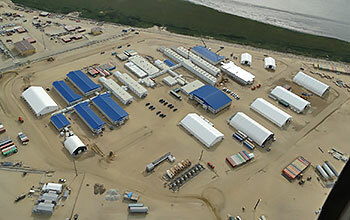 From Amarillo to Winnemucca, construction companies, pole barn builders, and general contractors are joining the Guard-All Building Solutions team to expand their building offerings with our large, easy to erect, clear span, cost-effective tension fabric buildings. 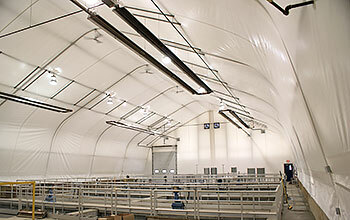 Tension fabric building installers find that our buildings are 30% faster to erect than conventional or steel buildings which allows them to not only install buildings quicker and more cost-effectively for each customer, it also allows them to complete more projects each year. At Guard-All Building Solutions, we understand that in order for us to be successful, our customers have to be satisfied and our Dealers have to be successful first. Guard-All takes this responsibility very seriously and is committed to produce products that are both engineered with integrity and priced to fit the demands of today’s market place. As a Guard-All Dealer you can expect quality engineering services, dealer support services, marketing services, sales training and support. You can also expect a comprehensive line of standard and custom products. Fill out our simple dealer application form to inquire about Guard-All dealer opportunities in your area. 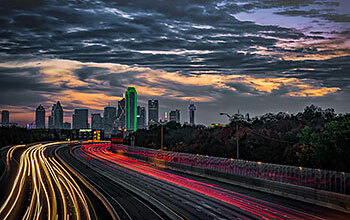 Guard-All Building Solutions is located in Dallas, Texas, a major transportation hub, which provides us with greater access to freight lanes and competitive freight rates. 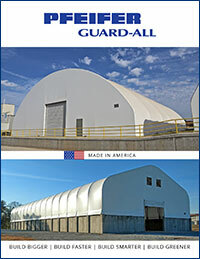 Guard-All manufactures a broad product line that includes: the Guardian, Centurion, Heritage, KwikBuild and Custom Build Series of fabric buildings, all of which are specifically designed to allow the Builder the ability to provide their customers with the perfect solution to meet their building requirements. The availability of select building Series that can accommodate insulated panels, metal cladding, wood, masonry and other exterior treatments. This allows the builder the opportunity to provide their customer with unique projects with that “one off” touch that are the key driver for future referrals. 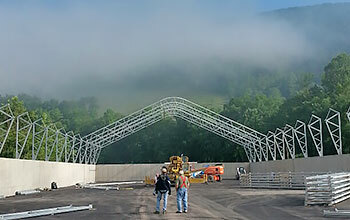 Broad market appeal: Guard-All tensile membrane structures have been installed across the United States, Canada and worldwide for use by a range of industries including mining, oil & gas, public works, athletic facilities and aviation. 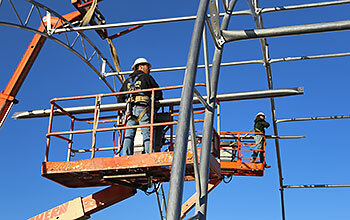 Builders can broaden the scope and scalability of their current business. 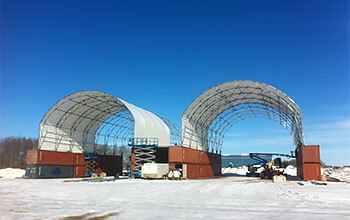 Tensioned Fabric structures can be installed year-round thereby lengthening building seasons, which leads to enhanced potential profitability. The builder can utilize portable foundation systems that make building in off peak times possible. Our dealers find that our buildings rapid installation cycles afford them a strategy to fill the valleys in their normal course of business. The AISC Quality Management Systems (QMS) Certification sets the quality standard for the structural steel industry and is the most recognized national quality Certification program for the building and bridge industry. Guard-All Building Solutions has received Clark County Department of Building (CCDB) approved metal building fabricator status. 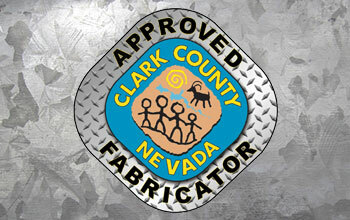 The Clark County approved fabricator program is currently accepted by several other jurisdictions in the state of Nevada and surrounding states. 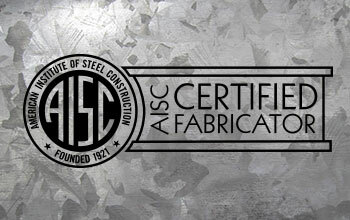 As of August 2011, Guard-All Building Solutions received certification in accordance with the CSA-A660 Standard. 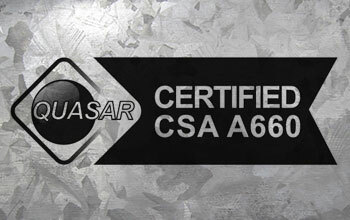 The certification ensures Guard-All’s compliance with the design and manufacturing requirements set forth in the CSA-A660 Standard.